• Energy balance is the difference between metabo-lizable energy intake and total energy expenditure. It is strongly related to macronutrient balances, and the sum of the individual substrate balances, expressed as energy, must be equivalent to the overall energy balance. • Energy in foods is furnished by carbohydrate, proteins, fats, and alcohol; only 5-10% is lost through the feces and urine. • The energy available to the body, called 'metabo-lizable energy', is on average 17kJg"1 of carbohydrate, 17kJg"1 of protein, 37kJg"1 of fat, and 29kJg"1 of alcohol. These figures vary slightly according to the type of carbohydrate, protein, or fat in the diet. • The energy used in the body, or energy expenditure, is classically assessed by indirect calorimetry. It involves measuring the oxygen consumption and carbon dioxide production by an individual. • Short-term regulation of energy balance is poor, but (in most people) long-term regulation is accurate. The mechanism is unknown, but must include conscious alterations in lifestyle to correct unwanted changes in body weight. • During long periods of energy imbalance the weight gained (or lost) is initially glycogen plus water with an energy density of ~1.0kcalg"1. If the imbalance continues, after a week the tissue gained (or lost) is a mixture of mostly fat, water, and protein with an energy density of ^7kcalg"1. • Undernutrition leads to a decrease in energy expenditure. 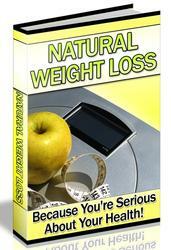 Part of the decrease in metabolic rate is related to weight loss. 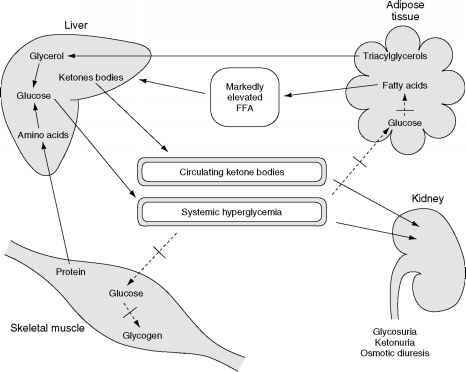 • In overfeeding, although some of the excess energy intake will be stored in adipose tissue, there are compensatory increases in energy expenditure. • The changes in modern affluent society can be considered in terms of energy balance. The increasing prevalence of overweight in industrialized society can be attributed to a profound change in the pattern of physical activity due to increased mechanization, robotics, and computerization, which have substantially reduced the need for even modest physical activity. Today, the demand for heavy labor is rare. In developed countries increased car ownership and heavy road traffic result in fewer opportunities to travel on foot. Television-watching now fills a large proportion of leisure time and numerous gadgets minimize housework. See also: Amino Acids: Metabolism. Energy: Metabolism; Requirements; Adaptation. Energy Expenditure: Indirect Calorimetry; Doubly Labeled Water. Fats and Oils.